More than any of the other 5 films I have watched for this marathon, there is something eerily personal about Vertigo. It is Hitchcock at his most tormented. 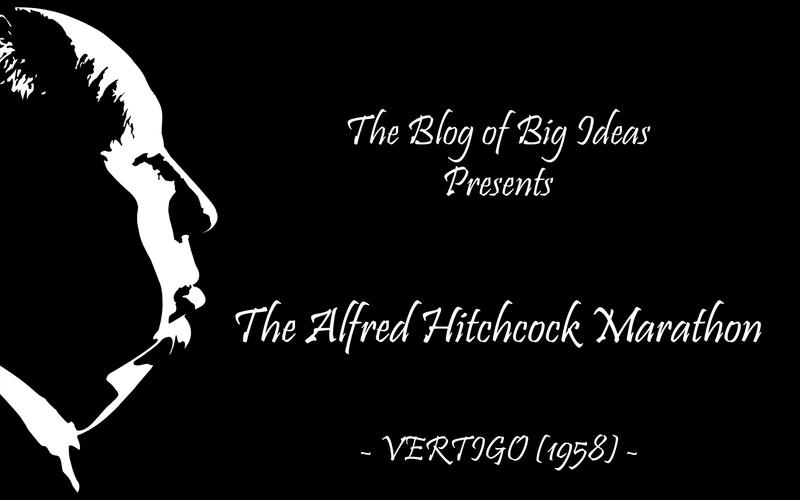 Though most of his works touch on a series of peculiar phobias and obsessions, Vertigo goes a bit further, taking a much darker tone than most of its predecessors. James Stewart played John ‘Scottie’ Ferguson, a retired detective who, against his better judgement, decides to work as a private investigator who is trying to uncover the truth about Madeleine Elster (Kim Novak), the beautiful wife of a San Francisco magnate whose recent erratic behavior has put a strain on the marriage. In its first act, Vertigo takes a paranormal tone that, for the most part, serves as a smoke screen for what is to come. After a brief prelude, the film focuses on the investigation that ensues. Day after day, Scottie chases Madeleine around town, trying to piece together the cause behind her recent strange behavior. After a few confusing trips around San Francisco, Scottie follows her to the Golden Gate Bridge in one of Vertigo’s most memorable scenes. After it, the film begins to change, shedding some of his interest with the paranormal and focusing on the intense feelings that develop between the leads. As soon as Hitchcock shifts his focus and pushes Vertigo down the path of an impossible romance type of story, the director surprises us yet again before too long. In fact, the brief yet intense relationship of the leads never quite seems to take off, always troubled by Madeleine’s mental issues and by Scottie’s slightly off-putting fixation to cure her. There is nothing in the love they feel for each other that suggests this will be a story with a happy ending. Though they kiss fervently as if every kiss is the last one they will ever have, never do they share a smile or an emotion that is rooted in happiness. Madeleine seems worried, and it seems to be about a little more than her condition, but we are never quite sure what that is. 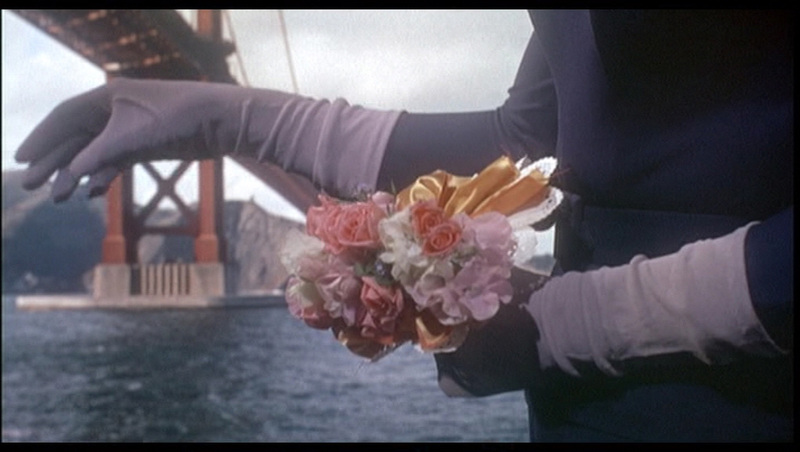 After another climatic scene atop a bell tower in the outskirts of San Francisco, Hitchcock seems to press the reset button, starting a second act that is different in tone to what we have seen up to that moment (hence why Vertigo is often referred to as Hitchcock’s 2-act film). Though there was a hint of obsessive behavior and paranoia in the first act, Hitchcock seems to open up towards the end, pouring all of his fears, obsessions and shortcomings onto the screen as Scottie begins to unravel before our eyes. Though we are initially made to believe Scottie will finally get back to his feet after Madeleine came and left his life so abruptly, a casual run-in brings back all of his memories and his obsession with the beutiful blonde begins in earnest. While we see Scottie regain some his purpose and composure by a new mysterious woman he finds, we never quite believe in his full recovery. While he begins to shed some of the guilt and sadness away, there is a part of him that does not seem to be satisfied. Slowly but surely, Scottie’s obsession with Madeleine takes hold and no longer is he concerned with love anymore. To witness the disintegration of the plot and the climatic conclusion to Scottie’s obsession is one of the greatest artistic demonstrations ever assembled on film. It is in these last few minutes that Hitchcock almost entirely reveals his true genius to us, all trapped in a man with too many insecurities and a beautiful blonde woman that torments him. Vertigo may not be Hitchcock’s most refined film or even his most entertaining, but I really doubt I will find a more revelatory piece in the rest of this marathon. I do not blame those that believe Vertigo may be the best film ever made. Rating: 4.5/5 – a masterpiece. 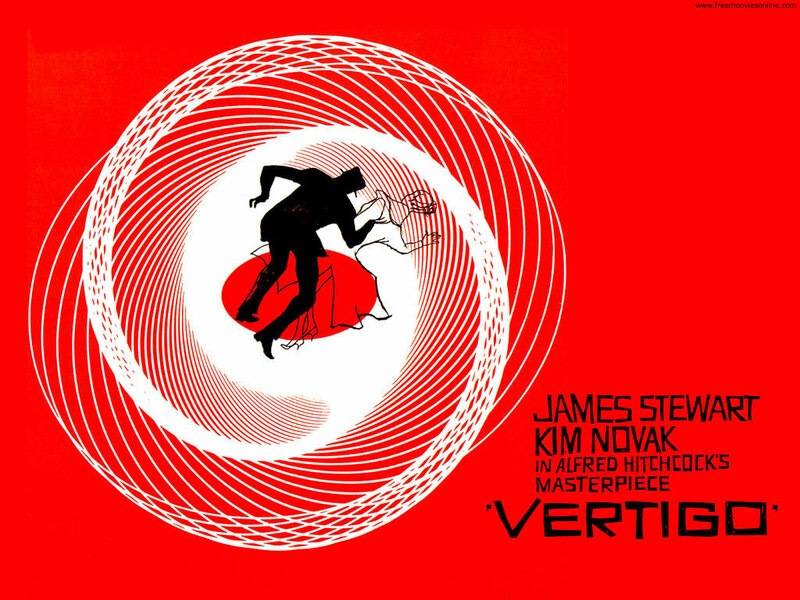 If only the “true” story was a bit more refined and less contrived, Vertigo would have been perfect. Agree it’s a masterpiece. Holds up so well to rewatch, my favorite Hitchcock film. I love all the details, which have been analyzed for years. Did you notice during the opening titles, how the circle goes counter-clockwise? Which is perhaps a warning that the world we are about to see is warped.